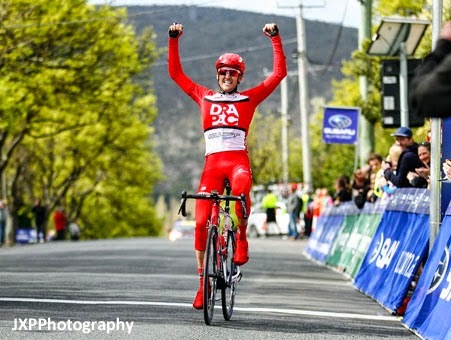 stage of the Tour of Tasmania today. 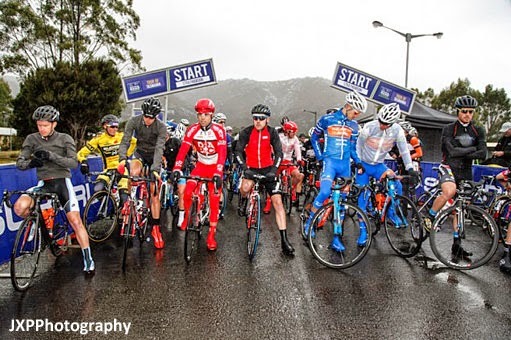 BATTLING wind, rain and hail, Launceston rider Wesley Sulzberger clinched the Tour of Tasmania’s second stage from Strathgordon to New Norfolk earlier today, holding on as his initial four-man breakaway was whittled down to just two riders for the final sprint. 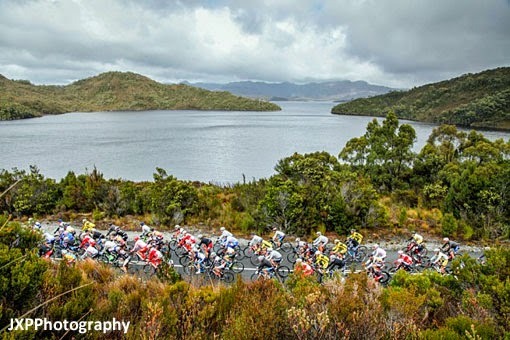 Sulzberger outpaced 18-year-old Ben O’Connor on the ride into New Norfolk at the end of a challenging 119.9km course from the banks of Lake Pedder. Ahead of his home town stage tomorrow (Wednesday), Sulzberger was pleased with the victory, alongside a fifth-place finish for brother Bernard. “I was actually hoping to go up the road tomorrow because my mum and dad and sister and mother-in-law will be there watching,” Sulzberger said after the race. “So a day early, but I’m really happy with the win!” The finishing line was in central New Norfolk, in Pioneer Avenue alongside Arthur Square. The start at Strathgordon this morning. While Davies and Ellerm-Norton dropped back to the peloton on the descent into New Norfolk, Sulzberger and O’Connor held off the chasing pack to finish almost a minute ahead of the third-placed Raphael Freinstein. “I thought once we hit over 2.00 minutes, and if we could keep increasing the gap, then hopefully I could come away at the end with at least 1.50, and with the time bonuses I could be in the leader’s jersey,” Sulzberger said. The peloton pedaling past Pedder. The final 48 second time gap wasn’t enough though to force a change in the yellow jersey, with Ben Dyball retaining the lead going into stage three. A second storyline for stage two was the emergence of young O’Connor, who matched it with the eventual winner throughout the race and only to be pipped to the finish line. 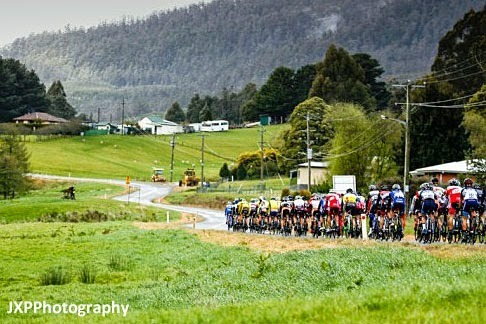 After two trying stages in arduous Tasmanian conditions, the riders will turn their attention to a 93km road race from Launceston to Grindewald on Wednesday. The Tour of Tasmania making its way out of Maydena today.